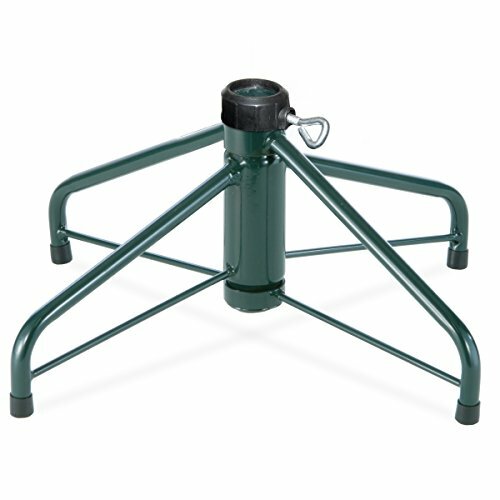 For use with 7.5 ft. to 8 ft. tall artificial trees with 1.25" diameter center poles. Legs fold flat for storage. Sturdy steel construction. Includes thumb screw for securing stand to tree pole.